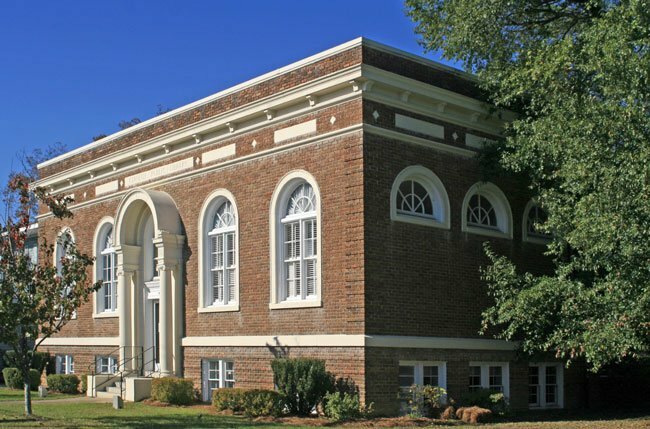 The Sumter Carnegie Library was built in 1917 with aid from the Carnegie Foundation, finally establishing a formal library in the town of Sumter after more than 100 years of book-lending services provided by local civic organizations. The Carnegie Foundation was founded by business magnate and philanthropist Andrew Carnegie for the purpose of donating funds to establish libraries all over the world. From 1883 through 1929, 2,509 Carnegie libraries were built and made available to the public – 1,689 in the United States alone. The Sumter Carnegie Library was one of 14 public libraries the foundation helped build in South Carolina. In the 1930s Sumter County received a Works Projects Administration grant with the help of the county department of education and the Sumter County Council of Farm Women. These funds were used to secure the county’s first bookmobile in order to provide books to people in the rural corners of the county. The library increased in popularity, and the county’s first formally-trained librarian, Jean Cochran, was hired in 1945. Library services and public outreach continued to grow over the next two decades, culminating in the racial integration of the library in 1963. By 1968 a larger library was completed to further accommodate the county’s residents, most of whom lived in the town of Sumter, and the library’s bookmobile services continued to reach people living outside the city, even expanding into neighboring Clarendon County. The Sumter Carnegie Library building has housed the Sumter County Historical Research Center since 1994, which includes the Sumter County Genealogical Society and the Sumter County Museum Archives. Sumter’s first and only public library from 1917 to 1968, was one of the 1,679 public libraries built in the United States with funding from the Carnegie Corporation, and represents the trend towards the establishment of public libraries in the late nineteenth and early twentieth centuries. This simple Beaux Arts building was designed by local architects J. Herbert Johnson and N. Gaillard Walker, in conjunction with Secretary James Bertram of the Carnegie Corporation. This building represents the progressive and civic-minded nature of the citizens of Sumter during the first decade of the twentieth century, as well as the social responsibility displayed by Andrew Carnegie. 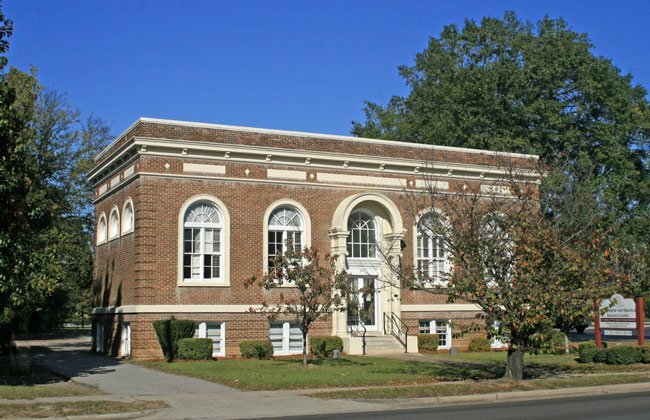 Though the $10,000 cost of construction was funded by the Carnegie Corporation, the operation and maintenance of the library was the financial responsibility of the city of Sumter. The Sumter Civic League raised money to purchase books for the library. The building was a center for learning for the citizens of the city for a large part of the twentieth century.